We just celebrated Chinese New Year last week and as usual, we visited the same people on the same days, did the same things, had the same goodies. When things get done the same way many times, it becomes a tradition. I realise that mothers tend to be the ones who establish the tradition in the family. In my own household, there are certain things we do for Chinese New Year every year. For example, we would buy new clothes, new underwear, new pyjamas, new socks and shoes for the children. We would have new bedsheets, sometimes new floor rugs too. We would buy New Year goodies, set up the same decorations every year. It has been our tradition for several years now and I would cook a pot of minestrone soup on Chinese New Year eve for our dinner for the First Day and Second Day. I know having meatless minestrone soup for Chinese New Year sounds odd. It all started when I decided that after all the rich food and pastries that we had throughout the day, it would be nice to have something that is more nutritious, less fattening and easier on the digestive system to end the day. It was a hit with my husband and the boys. Since then, this has become our tradition. I realise that a lot of the things we do for Chinese New Year are practices that I learned from my own mother, who probably learned it from her own mother, plus and minus some modifications of her own. My husband would never bother with such things. He does not see the point of going into all that trouble. He does not get why I insist on keeping the new stuff until Chinese New Year and not use it immediately upon purchase. I have a feeling it is a men thing. If we don’t make special occasions special, then every day of the year will be just another ordinary day. Eventually, the special days will lose their meaning. It is bad enough as it is when we can have new clothes, new shoes and eat good food every day of the year, unlike in the past when people only got to have these during Chinese New Year. 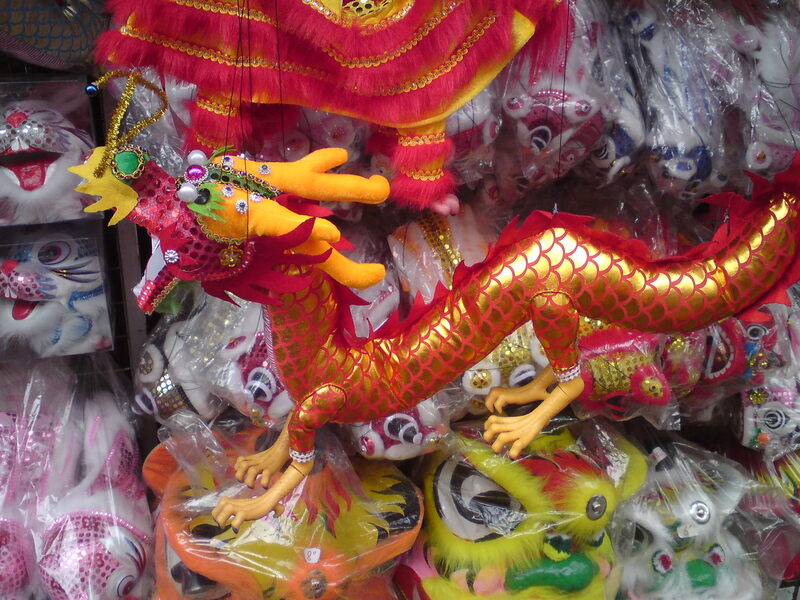 This is not just for Chinese New Year but all kinds of special occasions. I know it is very popular to think that Valentine’s Day is too commercialise. Why waste money on flowers when you can get the same at probably half the price on a normal day? Even women these days could not be bothered about such things in the name of being practical. Yes, it is true that a lot of special days are commercialised for businesses to make a killing. It is true that we probably can save a truckload of money if we buy things on normal days and not just wait for special occasions. But the question is : take Valentine’s Day, for instance. How many people will actually buy flowers on a normal day? I suspect apart from newly minted love birds, there are not too many. I think special days serve an even greater purpose now in our society when everyone is busy all year long. They serve as a reminder to slow down, think of the special people in your lives, and take the time to do something special for them. As for festivities like Chinese New Year and Christmas, how often do we get a chance to meet up with friends and relatives whom we see only once or twice a year? When I was young and single, I used to hate Chinese New Year very much because of the famous dreaded questions “Have you got a boyfriend yet?”, “When are you settling down?”, and then later on after I got married, “When are you going to start a family?” and “When are you having the next one?”. After I got married and have kids, I started to appreciate Chinese New Year more. First of all, I think of our parents and know that in their old age, they will appreciate having their children and grandchildren around during a festival that is so important to them. Then I think of my children and I think I do not want them to grow up without this celebration with extended family. I do not want them to lose their cultural heritage. I want to pass on the practice of celebration to them so that they can pass it on to their children. Traditions like this don’t just bind people together. They bind generations – past, present and future – together. As for the unwelcome questions from busybodies, as I grow older, I learn to brush them off and not be affected by them. I learn to appreciate these people who ask and not mind their asking. Life will be pretty boring and meaningless without festivities and celebration. In every festivity and celebration, there are traditions involved. Some traditions are passed down from generations to generations and some are created along the way. Some last and some don’t. The women tend to be the ones who establish and carry on the tradition. Regardless of whether you work at home, out of home, or are a homemaker, perhaps it is time to think of the tradition in your own family and how to carry it on. Years later, our children will not remember a typical day. They are more likely to remember these special days and the tradition that comes with these days.